Welcome to NC Escape – a cooperative, real-life mystery space where nothing is as it seems. You and your team are on a mission. 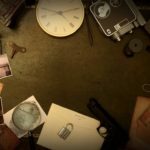 You have 60 minutes to escape by solving a series of puzzles that will challenge your mind and confound your senses. Explore, adapt, work together, think creatively — and you just might succeed.